I feel that speaking for others is the best way to use my voice. is ultimately a platform for giving back. For the last eleven years, Clay Aiken has been a busy entertainer. His life has been filled with singing, recording, touring, acting, and includes 2 runs as one of the stars of Monty Python’s Spamalot. He starred in a run of The Drowsy Chaperone and spent last summer in Joseph and the Amazing Technicolor Dreamcoat. His busy life would be enough for most people, but Clay also chose to quietly immerse himself in helping others and speaking out about what he felt was important. If you are a fan of Clay Aiken, you probably know that he co-founded The National Inclusion Project in 2003. The organization has grown and is now one of the top organizations that serves to bridge the gap that exists between young people with disabilities and the world around them. And, many people know that Clay became a Goodwill Ambassador for UNICEF with a focus on education, in November, 2004. But, there is so much more to Clay’s charity work. In fact, there is so much more than I can report about in one day. The following are only highlights of some of the things that Clay has participated with during the years. Clay became a Ronald McDonald House Charities Ambassador on November 22, 2004. In November, 2010, Clay joined supporters of GLSEN (The Gay Lesbian & Straight Education Network) in Washington to speak in support of two bills that were coming before the government: The Safe Schools Improvement Act and The Student Non-Discrimination Act. While starring in Spamalot, Clay worked hard to raise money for Broadway Cares/ Equity Fights Aids. Clay lent his support by offering items to the on-line auction. For two years, his items topped the bids for BC/EFA. The two Sir Robin bears broke records for the highest amount of money earned. Clay made a “doodle” and a mask that were auctioned off to worthy charities. Clay mentored one of the groups of kids involved with Rosie O’ Donnells Broadway Kids’ Showcase on April 27, 2009. On January 10, 2004, Clay performed at the halftime of a men’s basketball game at UNCC. That same evening, he donated $20,000 to the universities capital campaign. Clay was a guest speaker at the “2010 Human Rights Campaign Carolinas Gala” held in Raleigh on February 27, 2010. In 2004, Clay appeared with other celebrities as part of the McDonald’s World Children’s Day event. The event raised money for the Ronald McDonald house and other children’s charities. He put his handprints in cement and raised more money than all the rest of the items combined. Clay performed at a benefit for the Autism Society of Delaware and the Bubel Aiken Foundation on June 5, 2004. Clay met with children at P.S. 76 in Harlem, New York in 2003. He read to a class of second-graders as part of Wachovia Corporation’s Reading First program. If you look at this list, you will see that I have not mentioned, Clothes Off Your Back, The David Foster Foundation, The True Colors Fund, The Rosalynn Carter Institute, The American Australian Association, Disney Hand, Forces of Nature Aid Foundation, MDA, National Center for Learning Disabilities….and MANY MORE!! I feel bad for only mentioning The National Inclusion Project and UNICEF. These are so important to Clay, but I thought today, we would look at the bigger picture. I will report on Clay’s involvement with these 2 charities on another day. Clay opens his heart to the world. How easy it is to support this young man! Every celebrity should hope to be a role model to kids, to teenagers, to young adults. I talk about the causes that are important to me now, things that matter to me, and I’m in a position to help. You might have noticed that we have done a bit of editing on CANN. Besides updating the video, we have temporarily removed the chat from the site. We loved having the chat but at this time of change, it is important that we keep CANN a safe and positive place to read and post. I hope those of you who post on the chat will move over to the comments under the articles. We love getting comments. It’s just as easy as the chat. Just click on the number next to the word, “comment” that is under the current article and fill in the blank. We NEVER share your email address so don’t worry. Every comment must be approved so it might not show up for a few minutes, but I always check as soon as I can. All news will be posted as soon as I can get it up. So…please check back over the day to make sure you have the up-to-date announcements and news! The following is the new picture on Clay’s Twitter account! Do you like it? I hope you all have a wonderful and exciting day!! handsome man in that photo!! What a lovely blog. Clay is an amazing man and has already done so much to make a difference. I think that many people will be surprised at all he has done. AND….I love the new picture!! 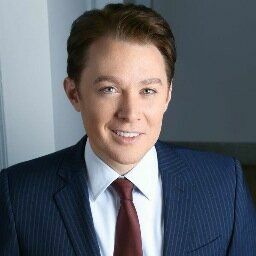 Check out clayaiken.com, not clayonline. Guess it's official. Love the picture & he also went to Banda Aceh Indonesia after the tsunami struck. Makes me loves him more. Love the new photo of Clay and so proud of the caring man that he is about others, God bless him, people like him have made a better place in the world, wish him lots of success in his new venture. Thanks Musicfan. What a great picture.CLAY is a wonderful human being, with a lot of love for other people. he is also very dedicated to trying to help people, and has done so already. THE NATIONAL INCLUSION PROJECT, is very dear to his heart.GOD BLSSYOU. EEEE! Am so proud and so excited for Clay! I WILL be donating some money here and there for his campaign! Whoo hoooo! He is all over the news!!! I just read the email from Clay about his running for Congress. Watch the video. I've already made a donation and pray that N.C. will be fortunate enough to have him represent them in the House of Representatives. EEEeeee…! I've been excited since 'the blog' but didn't think it would get THIS EXCITING! He is unique and brings so much compassion and smarts to this. This is definitely a great campaign start, have exceeded way beyond my expectations, as usual. We all know he loves his home state, this is the absolute right thing to do. Musicfan, I agree about the chat, you and CANN team have done such a MARVELOUS job! I am eternally grateful. 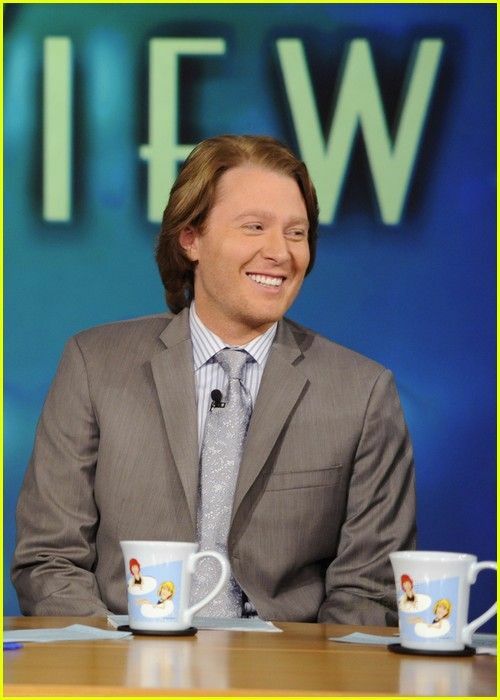 Our one and only Clay Aiken surpasses my expectations! With all of his accomplishments, he has done these past 11 years; are we really surprised with this latest development? Clay has always been interest in politics. His video was so amazing, unlike any other I have watched. So personable and very blunt when it came to his opponent's failure to represent her constituents. Bravo, Clay! Know that, I love you and support everything you do. Error: Error validating access token: Session has expired on Tuesday, 21-Aug-18 16:13:01 PDT. The current time is Wednesday, 24-Apr-19 22:04:19 PDT.